Come celebrate and enjoy with Mississauga at exciting major events and fun-filled local festivals. 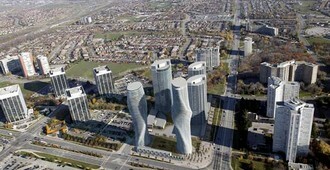 Visit Mississauga attractions and experience nature, entertainment, adventure and history. Take out some time to enjoy with your family and visit the beautiful and amazing places present in Mississauga. Come and visit halls of great galleries and museums and discover history of Mississauga and Canada. Amacon Mississauga Rotary Ribfest is organized at the venue of the new Celebration Square at the City of Mississauga's new Celebration Square. Amacon Mississauga Rotary Ribfest is celebrated with the activities such as live music, children's rides & entertainment, vendor's marketplace and ribbers from all across North America. Amacon Mississauga Rotary Ribfest is attended by almost 100,000 visitors.